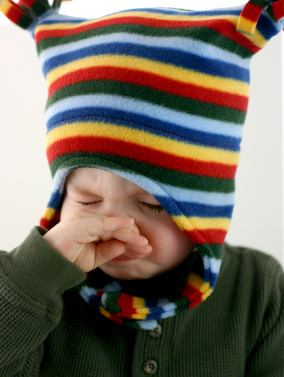 As parents, we dread that inevitable moment when our kid comes down with a major cold or respiratory illness. At the first hint of sniffles or the onset of fever, we secretly wish for a magic pill to make it all go away. Sometimes we get our wish, in the form of an antibiotic, which can effectively treat bacterial ailments, but are powerless against viral illnesses. New research out of Seattle Children’s Hospital shows that antibiotics are too often dispensed for ailments that shouldn’t be treated that way. Between 2000 and 2011, antibiotics were prescribed for 57 percent of all respiratory cases, despite the fact that only 27 percent of respiratory cases were bacterial and would be responsive to the medicine. Matthew Kronman, M.D., assistant professor of pediatric infectious diseases at Seattle Children’s, documented this trend in a study published in the October 2014 issue of the journal American Academy of Pediatrics. Kronman also reported that roughly 11.4 million unnecessary antibiotic prescriptions are given to children and teens in the U.S. annually. Why is taking antiobiotics unnecessarily risky? Taking unnecessary antibiotics can put a patient at risk for adverse side effects, and everyone at risk for the potential development of antibiotic-resistant bacteria. According to the Centers for Disease Control and Prevention (CDC), when antibiotics fail to work against antibiotic-resistant infections, the consequences can be dire: longer-lasting illnesses, more doctor visits or extended hospital stays, use of more expensive and more toxic medications, and even death in some cases. Approximately 30,000 visitors also come to emergency rooms all over the country every year with diarrhea and a serious intestinal infection called Clostridium difficile colitis (C. difficile), said Kronman. The CDC determined that the taking of antibiotics is the most important risk factor for developing C. difficile infections — more than 70 percent of cases had antibiotics prescribed just prior to contracting C. difficile. In order to treat any illness correctly, you first have to know whether you’re dealing with a bacterial infection or a viral one. However, with the exception of the rapid strep test for strep throat, doctors treating a high volume of patients in offices and clinics are limited in their ability to unequivocally distinguish bacterial from viral illnesses. “We desperately need easy tests that can be performed right in the exam room to determine when a patient has a bacterial infection,” Kronman says. Mama Doc, "5 Reasons to Avoid Antibiotics"
In lieu of test results, practitioners typically rely on symptoms and observational data, but because of the uncertainty, along with the discomfort, of symptoms, there are parents who just want clinicians to give them “something” for their child. “It’s a real challenge to explain why it is harmful to take antibiotics, in many circumstances, to a parent who knows what they want and has gotten what they want in the past,” says Jeremia Bernhardt, M.D., a family physician and faculty member at Swedish Family Medicine Residency at Cherry Hill in Seattle. Still, even when antibiotics are the right solution, taking them is not without risk. According to the CDC, the beneficial bacteria in and on our bodies that protect against infection can be altered or eliminated for weeks and even months when taking antibiotics. “As a parent, I can relate to wanting to do something to limit suffering while my kid is sick, but as a doctor, I also know that [some medicine] may actually cause my patients more harm than good in the long run,” Bernhardt says. 1. Setting parental expectations through education can significantly decrease the rate of antibiotic prescriptions. Parents can visit the website Choosing Wisely, co-developed with the American Academy of Pediatrics. It illustrates when antibiotics would or wouldn’t be appropriate with ear infections (but the information can be applied more broadly). 2. Doctors should discuss watch-and-wait strategies with parents and frame their recommendations around what parents can do to help kids ride out the illness more comfortably. 3. Parents and the medical community should keep doctors accountable to reserve antibiotics for only confirmed or highly suspected bacterial ailments. 4. 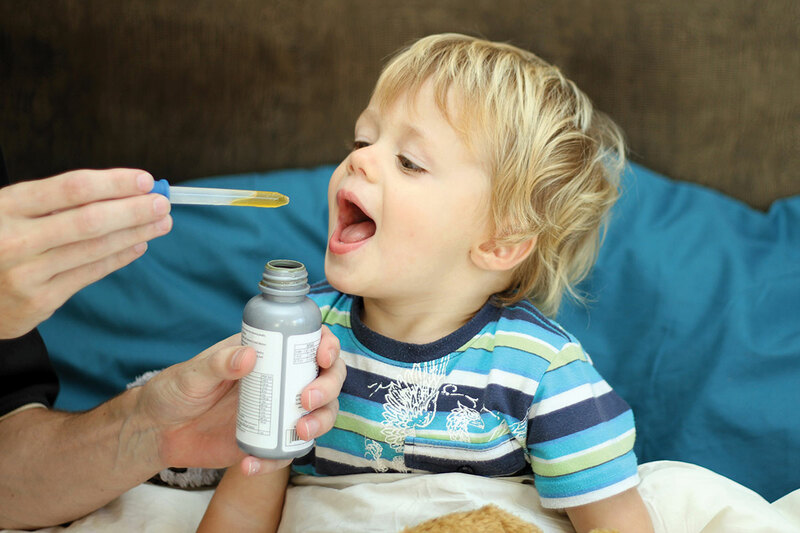 If antibiotics are the right solution, parents must follow the exact dosage instructions over the entire duration as prescribed by the doctor. 6. Some practitioners support taking probiotics when well and in tandem with antibiotics to head off antibiotic-induced diarrhea. Parents should research this course of care and discuss it with their child’s doctor.